I've successfully installed BlogPlugin on a Intranet Linux test server. Everything works well except that I can't create replies. 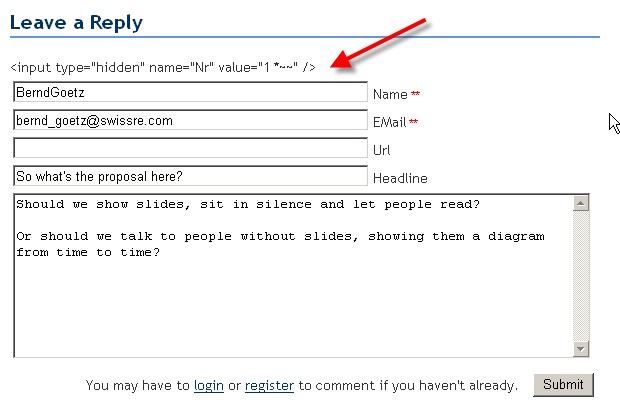 When I press reply on a blog entry, I get the reply form provided. I guess this should not appear here. I will attach two screenshots to this bug report. Let me know what else I need to provide. That's a very easy workaround. Thanks for the support.